http://www.bikesidela.org/ are one of the few sites that have actually added a bit of their own css. Here they have used a table row hover to display the event description on hover. All done using css. 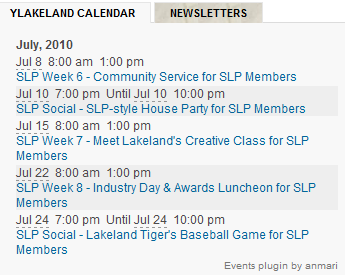 http://ylakeland.com have the calendar events plugin widget in a tab.